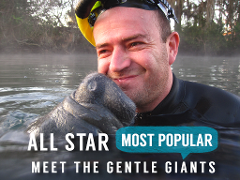 Our manatee encounter and snorkel tour is world famous for a reason; there is nothing else like it! The refuge is comprised of springs and filled with unique wildlife. 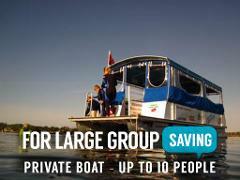 This tour on a covered pontoon boat allows you to see it all up close. We will let you in on a secret! You can get the high-end experience, with an affordable price tag! Our new luxury pontoon aims to amp up the manatee encounter and deliver a more personal event! This boat is enclosed and heated for winter. This snorkeling adventure may only be 3 hours, but the memories for your group will last a lifetime! Your very own USCG certified pontoon will explore the refuge and get you up close with our ‘gentle giants’!